Get in touch with nature at Royal Botanic Gardens and St. Kilda Beach. Deepen your sense of the past at sights like Shrine of Remembrance and Old Melbourne Gaol. Explore the numerous day-trip ideas around Melbourne: Sovereign Hill (in Ballarat), The Great Ocean Road (in Torquay) and Werribee Open Range Zoo (in Werribee). There's lots more to do: examine the collection at Melbourne Museum, explore the world behind art at National Gallery of Victoria, wander the streets of Melbourne Central, and get to know the resident critters at Melbourne Zoo. For reviews, maps, traveler tips, and more tourist information, use the Melbourne travel itinerary planner. Sydney to Melbourne is an approximately 3.5-hour flight. You can also do a combination of flight and shuttle; or drive. Prepare for a bit cooler weather when traveling from Sydney in May: high temperatures in Melbourne hover around 20°C and lows are around 9°C. Finish up your sightseeing early on the 27th (Mon) so you can travel to Adelaide. Deepen your sense of the past at sights like Adelaide Oval and North Terrace. You'll explore and learn at Vine Art Studio, Gallery & Therapeutic Massage and South Australian Museum. 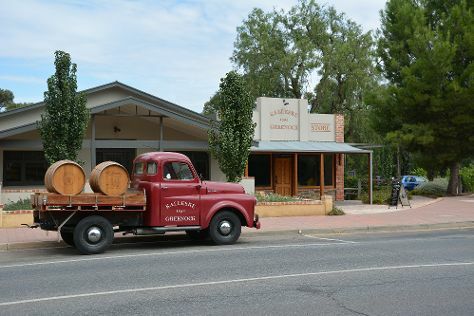 Venture out of the city with trips to National Motor Museum (in Birdwood), Tanunda (Basedow Wines & Langmeil Winery) and Hahndorf (Grass Roots Vintage, The Aboriginal Art House, & more). Dedicate the 2nd (Sun) to wine at some of the top wineries in the area. There's still lots to do: hunt for treasures at Adelaide Central Market, do a tasting at Primo Estate, look for gifts at Vineyard Road Cellar Door, and get engrossed in the history at Migration Museum. To find photos, maps, ratings, and other tourist information, read our Adelaide trip itinerary app . Traveling by flight from Melbourne to Adelaide takes 3.5 hours. Alternatively, you can drive; or take a train. In May, daily temperatures in Adelaide can reach 22°C, while at night they dip to 12°C. 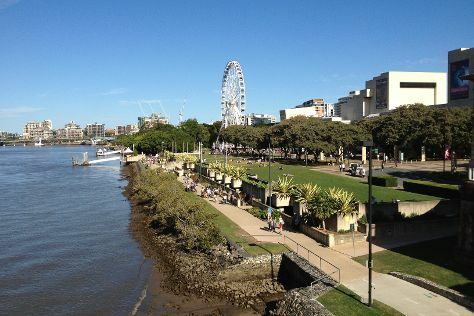 Finish your sightseeing early on the 12th (Wed) to allow enough time to travel to Gold Coast. Your itinerary includes some good beach time at Surfers Paradise Beach and Moffat Beach. Head to Tweed Regional Gallery & Margaret Olley Art Centre and Thomgalleryfor some retail therapy. Change things up with these side-trips from Gold Coast: Brisbane (Lone Pine Koala Sanctuary, South Bank Parklands, & more), Redland Art Gallery (in Cleveland) and Dicky Beach (in Caloundra). Spend the 19th (Wed) exploring the fascinating underwater world at Sea World Theme Park. And it doesn't end there: stroll through Burleigh Heads Beach, take in the exciting artwork at Boomerang Art - Aboriginal Art Gallery, find something for the whole family at Warner Bros. Movie World, and get some fabulous bargains at Harbour Town Outlet Shopping Centre. For maps, traveler tips, more things to do, and tourist information, you can read our Gold Coast tour planning website . You can fly from Adelaide to Gold Coast in 5 hours. Other options are to do a combination of flight and train; or drive. In June, Gold Coast is somewhat warmer than Adelaide - with highs of 24°C and lows of 13°C. Finish up your sightseeing early on the 25th (Tue) so you can travel to Sydney. Do some cultural sightseeing at Brett Whiteley Studio and Sydney Opera House. Do your shopping at Sydney Fish Market and ATTY Gallery. Change things up with these side-trips from Sydney: Katoomba (Bridal Veil Falls, Katoomba Antique Centre, & more), Blue Mountains National Park (Lincoln's Rock & The National Pass) and Norman Lindsay Gallery & Museum (in Faulconbridge). Spend the 2nd (Tue) exploring nature at Sydney Harbour National Park. Spend the 7th (Sun) exploring nature at Bradleys Head Trail. 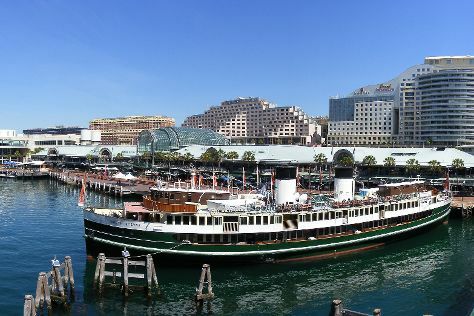 There's still lots to do: take a stroll through The Rocks, see the interesting displays at Australian National Maritime Museum, pick up some local products at Danks Street Produce Merchants, and view the masterpieces at Art Gallery of NSW. To find more things to do, other places to visit, and tourist information, read Sydney vacation builder site . Traveling by flight from Gold Coast to Sydney takes 3.5 hours. Alternatively, you can do a combination of train and flight; or drive. In June in Sydney, expect temperatures between 21°C during the day and 11°C at night. Cap off your sightseeing on the 11th (Thu) early enough to travel back home.